Like clockwork, every year (usually during the winter months) there is a flu outbreak that causes people to second guess whether or not they actually want to shake hands with others or press that elevator button without hand sanitizer ready to go. 2017 brought a rather late flu outbreak that managed to impact more people in a shorter amount of time than previous years, In fact, schools had to be proactive and close their doors due to the amount of people contracting the flu. However, not to be outdone, 2018 has managed to have the most widespread flu outbreak on record in the past 13 years. How is This Year’s Flu Season Different? Because flu season so early this year with such intense flu activity, the amount of people who have contracted the flu has been significantly higher than usual. In fact, flu activity has been so intense that the amount of hospitalization rates due to the flu have doubled compared to previous years. The issue with the flu outbreak this year comes from the strain H3N2, which just so happens to be the worst of the worst when it comes to flu strains. With this strain, there are more hospitalizations, deaths and illnesses. Children, the elderly and those with health conditions are typically more prone to more serious flu related issues. Though it’s February, flu season hasn’t quite reached its peak yet, with data suggesting that flu activity is continuing to increase. After flu season hits its peak, you can expect an additional 11-13 more weeks of flu season, so we aren’t out of the woods quite yet. To give you a better idea of how many people are getting REALLY sick from the flu, the average hospitalization rate for the week of January 26th was 51.4 per 100,000 people (which is up by 7.9 since the 2014-2015 season). As far as deaths from the flu this year, there have been 37 recorded deaths in children under the age of 18 so far. 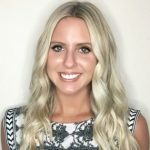 How Can the Flu Affect My Business? Can You Do Anything to Protect Yourself and Your Business? 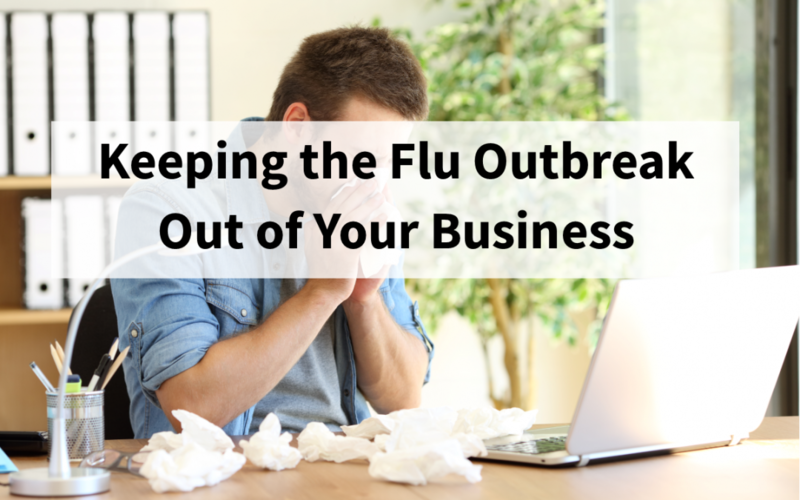 Since none of the information above sounds remotely promising, here is a little bit of light at the end of the tunnel: you can still protect yourself and your business from the flu. In fact, there are many ways you can do so. Get your flu shot and encourage your employees to also – it is not too late in the game to go get your flu shot. Like I said earlier, flu season has not even peaked yet and once peak happens, there will still be 11-13 weeks left of flu season, so go get that shot. It’s not guaranteed to prevent you from getting the flu, but it can’t hurt. Wash your hands often – seriously, wash your hands all day. Make it your new hobby. Especially at work, the gym or in any other public place. Cover your mouth when you cough or sneeze – this is an obvious one, but the amount of times I see people freely sneeze around me without covering their mouth is astonishing, so I feel like it needs to be reiterated. Stay home if you are sick – this one goes for all workaholics. I get it, you have things to do and don’t want to be slowed down on your quest to take over the world. That’s all good and dandy, but if you are sick, you need to stay home. For business owners, consider throwing in some extra sick days so your employees don’t try to come to work sick or if working from home is an option, tell sick employees to work from home instead. The fewer people that come into the office infected, the less likely there is to be an outbreak at your business. One person staying home from the flu for a week is a lot easier to manage than 15 people being out in one week from the flu. Download Preparis’ Planning for Pandemic Influenza Checklist to find out if your company is prepared for the flu or click here to download the Preparis Reduced Workforce Tabletop Exercise to help your business’ leadership plan around working with a reduced workforce.